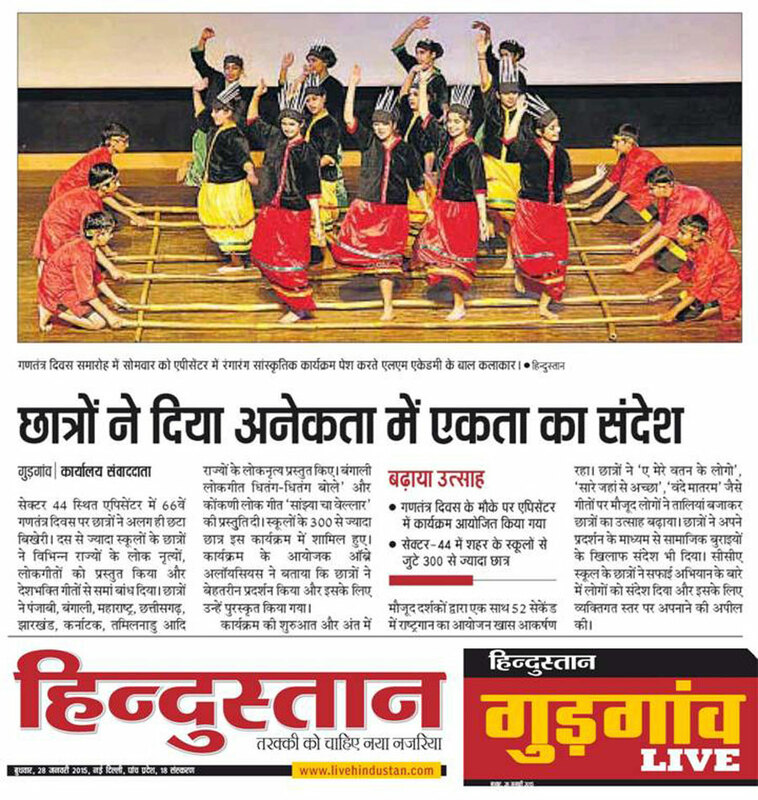 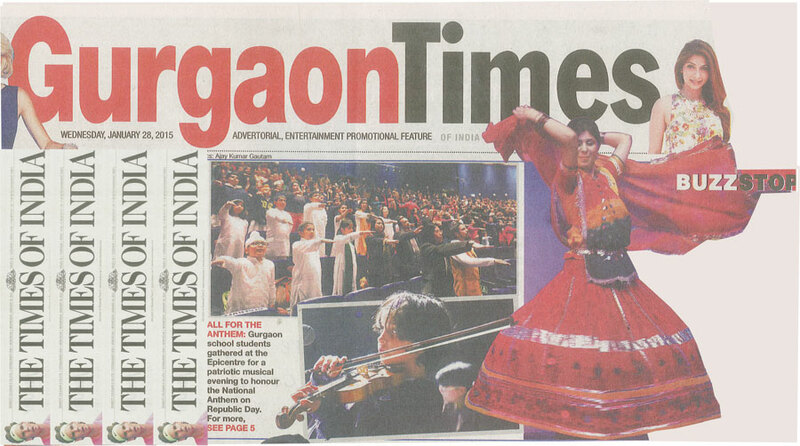 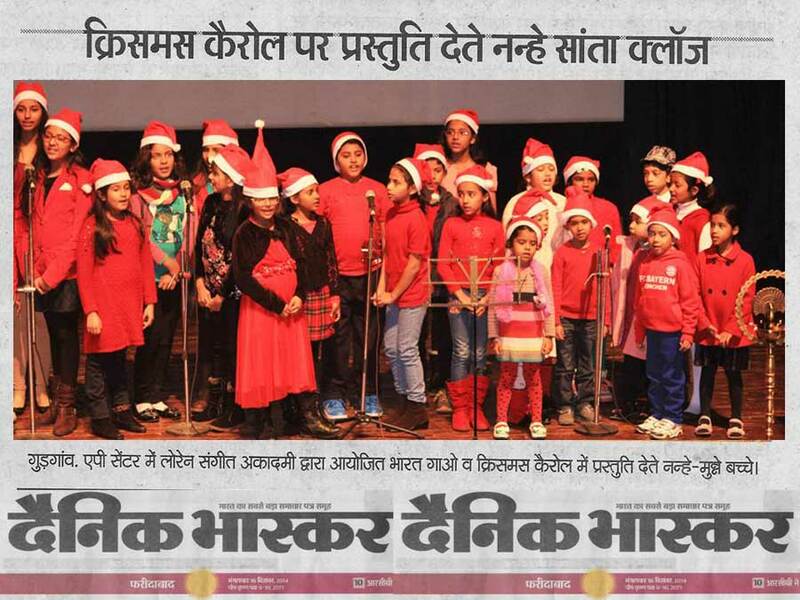 Sector-44 Stiti Epicentre Mein Lorraine Sangeet Academy Ki Aur Se Christmas Ke Lekar Chatron Ne Rangarang Prastuti Di. 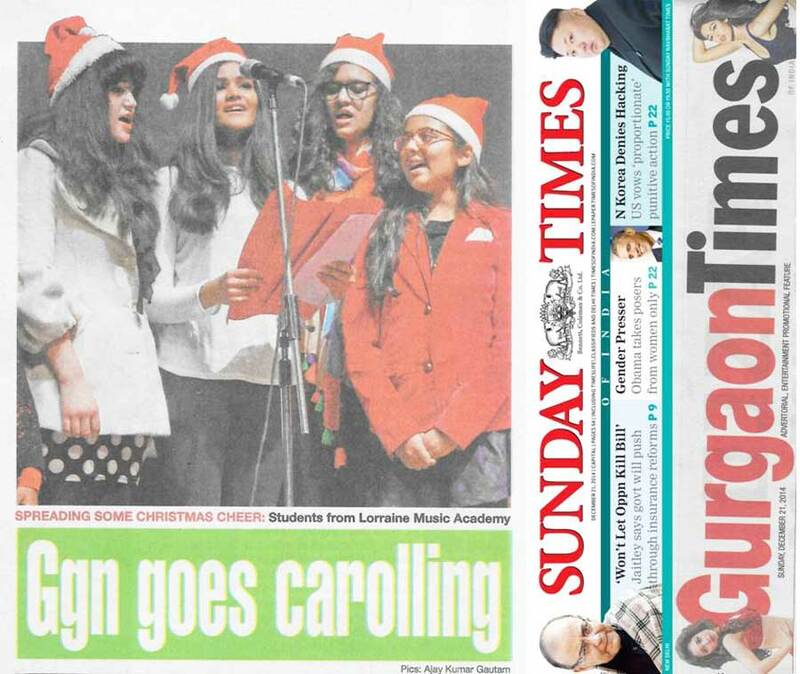 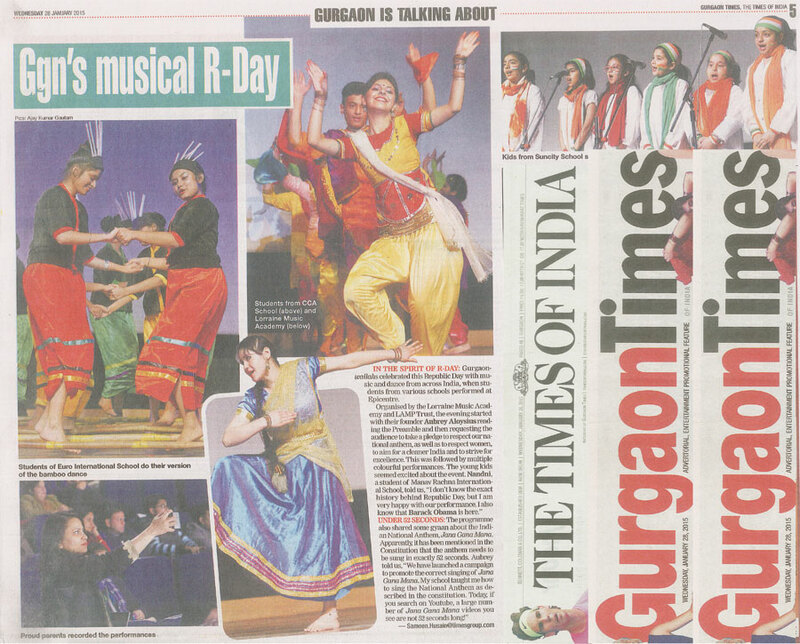 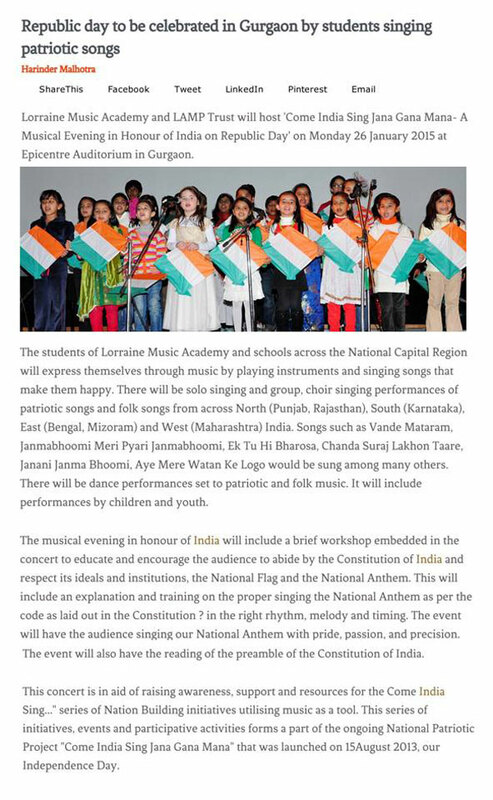 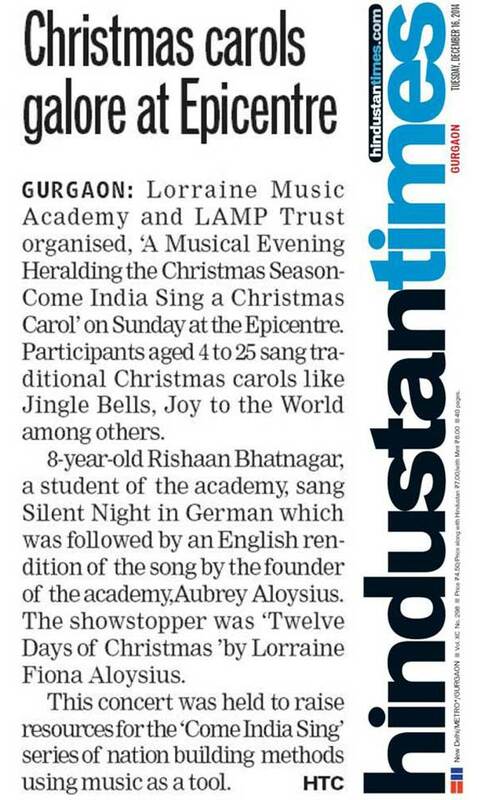 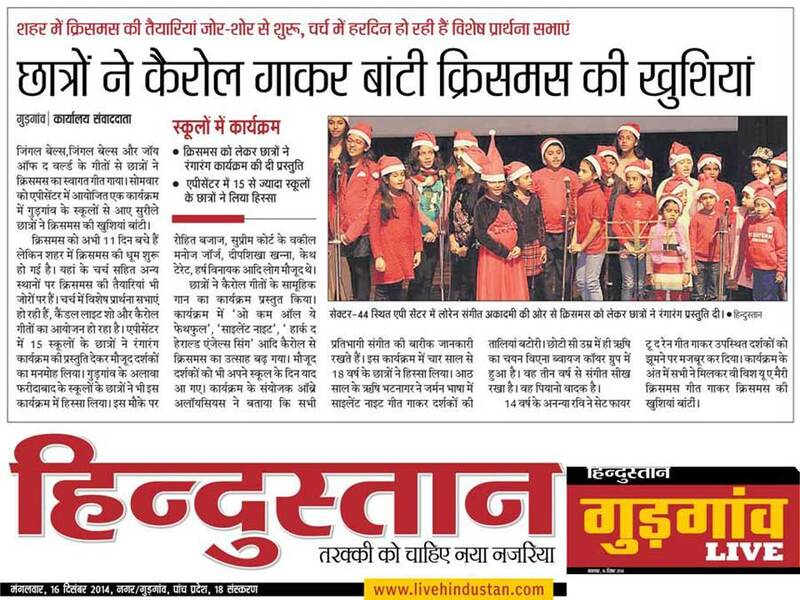 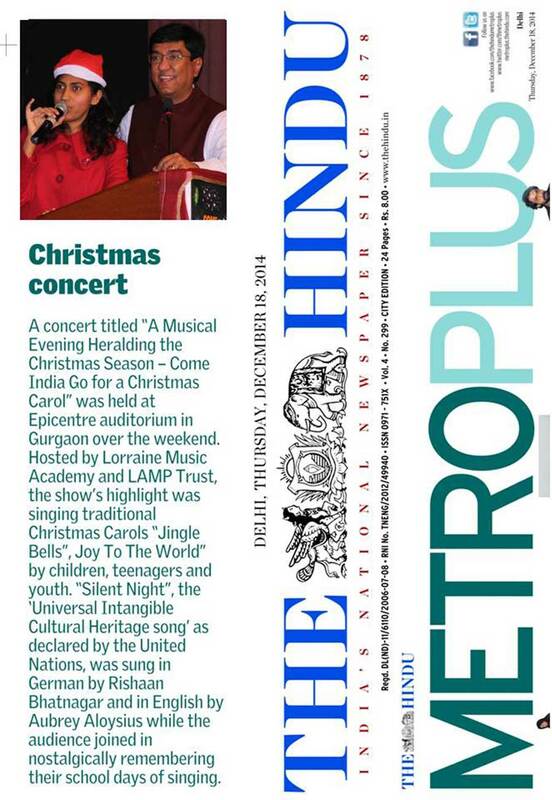 Lorraine Music Academy and LAMP Trust organised, ‘A Musical Evening Heralding the Christmas Season – Come India Sing a Christmas Carol’ on Sunday at the Epicentre. 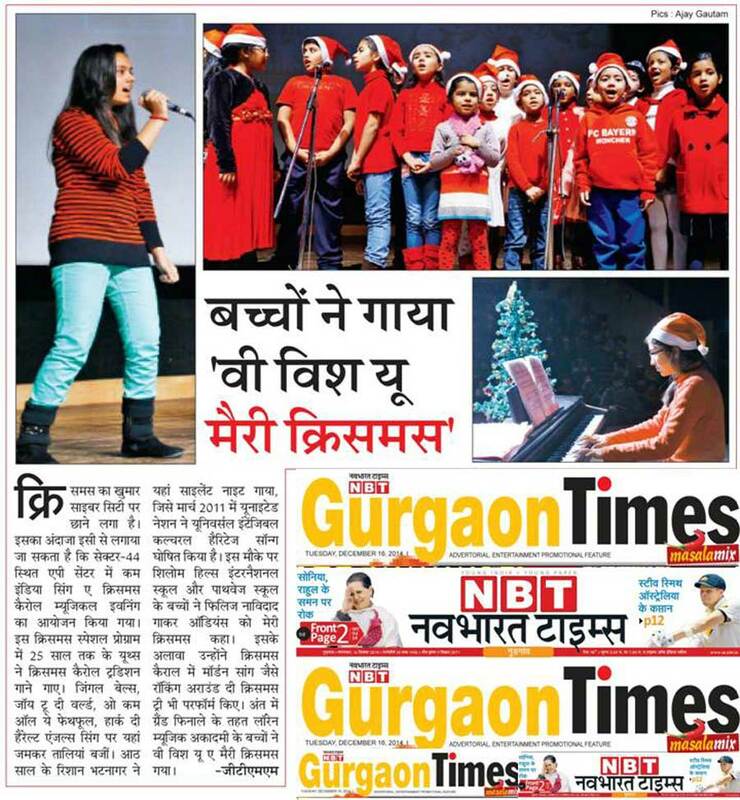 Participants aged 4 to 25 years sang traditional Christmas carols like Jingle Bells, Joy to the World, among others.